A Photogallery has been upgraded. We change it completely and add Dysnai 2005 pictures. Your comments and notes please leave in GuestBook (or write us directly). On Friday, July 8 the XIII th Dysnai have been closed. 120 delegates from Russia, Ukraine, Hungary, Slovakia, Finland and Germany took part in the event. During the Symposium 16 oral and 4 poster presentations were made. Now Technical Council working to define best reports which could be sent for publishing in international physics journal in France. From new projects during the Festival 2005 the Jaranga Palace was recognized as a best installation. And final fireworks told us - see you in the first decade of July in 2006! Search for updates in photo gallery (coming soon). Two IYNA representatives took part in Xth Maxi Marathon 19-21 May. 284 nuclear workers from 15 countries overcame 180 km from Leningrad NPP to Palace Square in St. Petersburg. It was decided that next marathon would take place in Lithuania. Certainly, our organization is among organizers of future event. A REPORTS bookmark in SYMPOSIUM folder have been added by materials from both Technical and Trade Union sections. Dysnai 2004 delegates already received the Book of Reports and the CD with these reports and some pictures and video but now young people works available online. A seminar of Project Management Unit and Ignalina Youth Nuclear Association took place on March 12-13 at Shvederishkes House – a beautiful place in Lithuanian country side. Modern activity of both organizations discussed. Participants knew much about Decommissioning Projects and Youth Politics. Working language was English. After workshop 30 delegates took part in the game of an ending of Pancake Week (Shrovetide). As is customary, a “winter-of-straw” has been sacrificed. 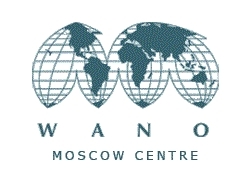 Professor Andre Maisse, the WONUC president, suggested publishing best works from Dysnai symposium in some international scientific journals such as NUCLEAR ENERGY SCIENCE AND TECHNOLOGY ; NUCLEAR GOVERNMENT, ECONOMY AND ECOLOGY. Because Dr Maisse is Editor-in-Chief of these journals it is a serious offer! “This will make your symposium really international” he said. So since this year we will define best reports and send them for Editorial Board consideration. Young researchers and engineers got a chance to be noticed by World Science because of one successful work. Well, future Nobel laureates, go ahead! Within the frame of the Plan on Decommissioning Activities of Unit 1 at Ignalina NPP the Association has initiated the Project aimed at preventing the development of pernicious influence among teenagers from 15 to 17 years old. The Project includes contests for the best paintings, posters, photos and computer graphics among the pupils of seven schools in Visaginas. The Project is financed by the Agency of Development of Ignalina Region and the Association. The date of XVIIIth Dysnai 2005 has been defined. Welcome to Lithuania on 2-9 of July. A new "Nevermore year" clip is now available in VIDEOCLIPS folder. Music: I.Sokolovsky, lyrics: A.Semenov, translation to English and voice: A.Bolgarov, audio mastering A.Runov, video producer A.Safronov. Save the clip 2004 on your computer and enjoy it! Until we put in good order our own photogallery one can enjoy Dysnai 2004 pictures on our friends' web-site. All these pictures were made by V.Bogdanovich. Simply make a click.